It’s always a privilege to read and review a book for a fellow writer. Before reading Chasing Famous, I did not know Lisa Lloyd. So I did a little googling to find out what I could about her and her ministry. I learned that she is an actor and (obviously) an engaging speaker. I couldn’t wait to sit down with my copy of her book and see what it was all about. Within a few pages, God spoke to my heart. I knew this book, wasn’t just “one more book to read and review.” Instead, God had a message designed for me. 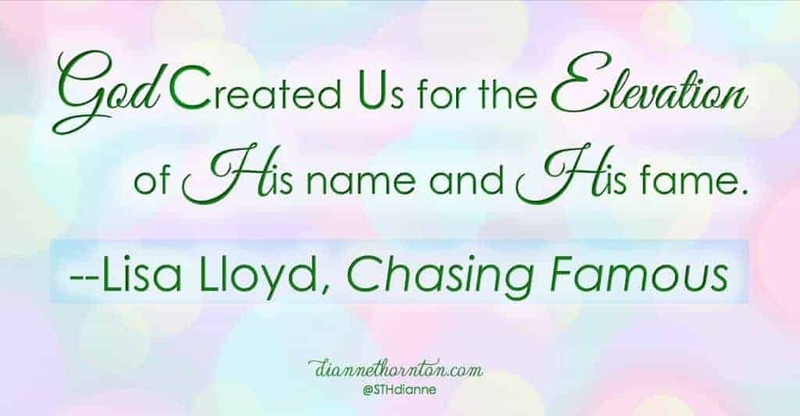 In Chasing Famous, Lisa Lloyd shows us how to “lengthen, elevate, and radiate” the fame of God’s Name in our personal stories, our talents, and in our everyday activities. Lisa titles each chapter with a term specific to the acting business. 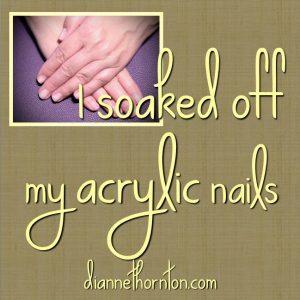 And then draws parallels for our Christian lives. Lisa includes thought provoking questions at the end of each chapter to drive home the truth she wants us to understand. Many months ago, God spoke to me about my motives for serving Him. His word was clear. So I wouldn’t forget, I put a sticky note on my computer. Often sticky notes left for long periods of time blend into the landscape of my desk. Not this one. I continue to read it every day. And every time I do, it’s my prayer for my writing ministry. 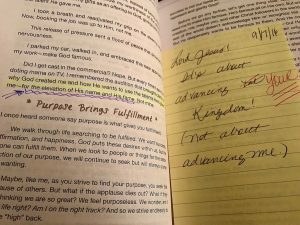 Chapter Ten, “Booking the Job” is about following God’s call on our lives. Lisa gets right to the heart of the matter. Although we feel up-to-the-task of many things, often we don’t feel adequate or qualified to do the things God wants us to do. 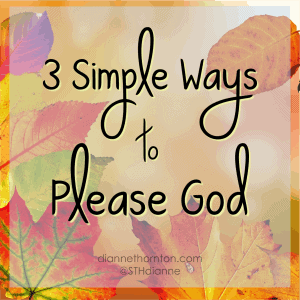 And that’s ok. Lisa shares, “God’s call is seldom easy. That’s because His call requires Him. And so we are never in a more perfect place to live out our calling than when we feel completely inadequate.” When others see God working through us, He makes Himself famous. 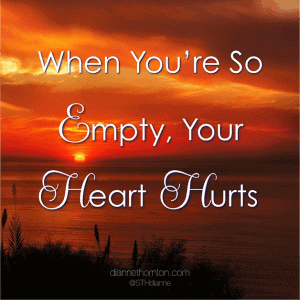 And that’s the overarching call of our lives. Chapter Seventeen, “Stage Moms,” was especially meaningful for me. Rich in parenting principles, Lisa encourages us to “parent with the end in mind.” She tackles difficult subjects, including obedience, purity of mind and body, forgiveness, and relationships. She reminds us that we never stop being parents. I am ending one phase of parenting and moving into another. My kids are older. Two graduate from high school this year. Next year my youngest graduates. Sometimes I feel like the guts of parenting is over. But it’s not! I still have opportunities to parent with the end in mind. We never quit being parents. True, our job changes over time. But we can still influence our children in positive ways. One of the most touching parts in her book, is Lisa’s story about how God loved her through her sin and set her free. I won’t spoil it by sharing the details. 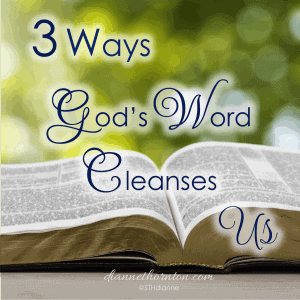 I will say that Lisa encourages us not to remain silent about how God is working through the yucky stuff in our own lives. When our sin is no longer hidden behind a mask of Christian piety and propriety, we are truly free, not bound by the secrets of them. 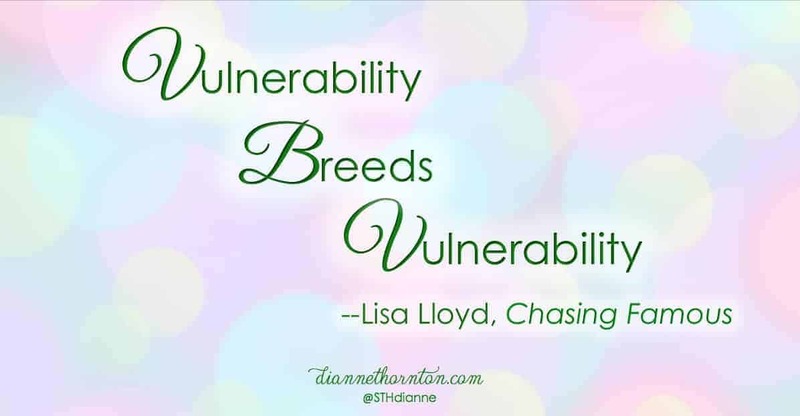 When we are vulnerable with others, they feel more comfortable sharing their vulnerabilities. I received a complimentary copy of Chasing Famous in exchange for an unbiased review. Did you know you’re constantly, often unconsciously, auditioning for a part? 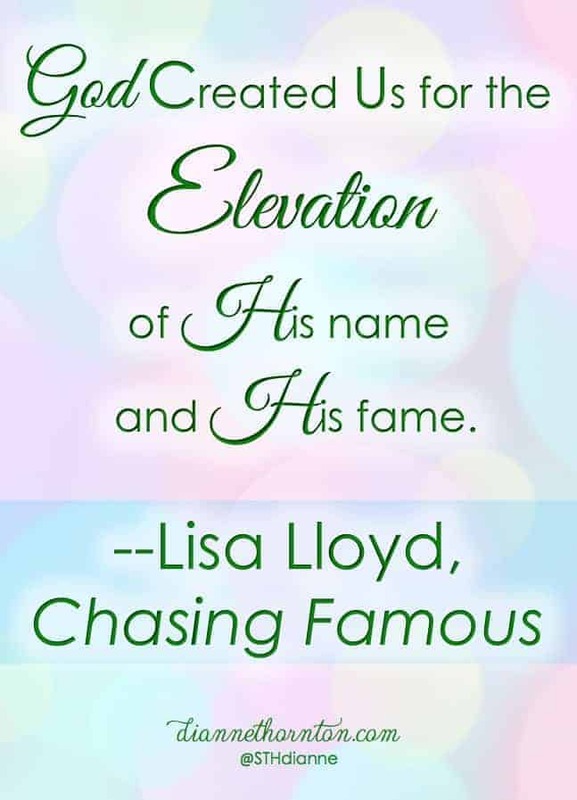 Learn how to master these issues and turn the spotlight on God with the help of Lisa Lloyd’s new book, Chasing Famous. 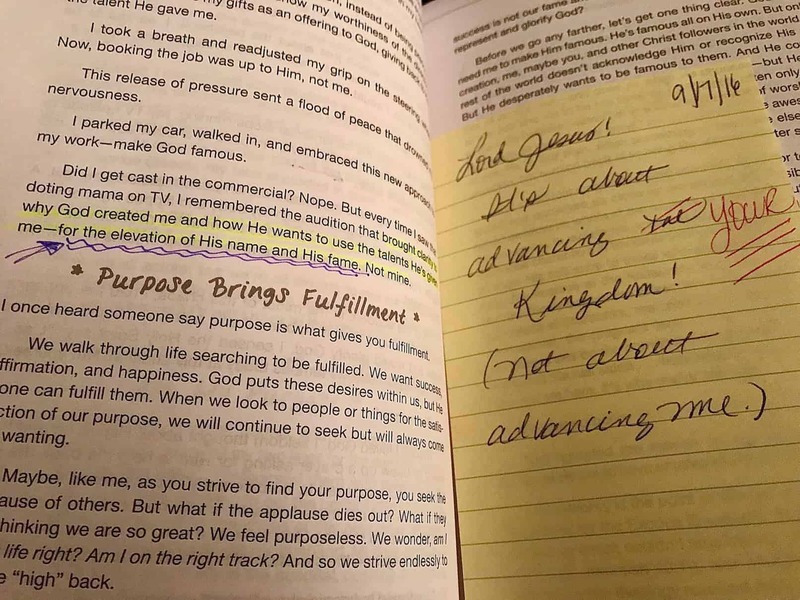 Chasing Famous is a redemptive book that teaches us how to take the focus off ourselves and shift it back on to the glory of God. Written by a professional actress who readily admits that she is the most self-centered person she knows, Chasing Famous provides practical and sometimes humorous examples of scriptural truth that will help you master the natural self-centered tendencies of life. 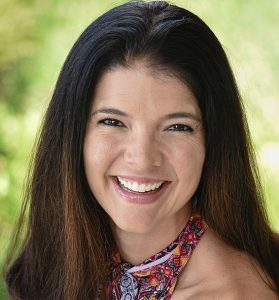 Lisa is a speaker, emcee, actor, and writer. Since receiving her bachelor of fine arts in theater from Southern Methodist University, Lisa has been featured in many major performance mediums, including television programs and commercials, highway billboards, and theater. 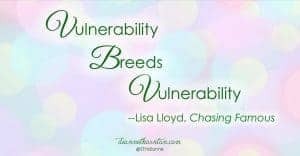 She is a highly sought-after speaker at women’s retreats, conferences, and events across the country. She and her husband Markus live in McKinney, Texas, and have two boys. You can follow Lisa on her blog and across social media @lisajlloyd. And, you can purchase your copy of Chasing Famous at Amazon and other great book sellers!